Jewelry, Hair, Nails & More! GOLD Wooden Toy Award 2017 Best Baby & Toddler Gear! 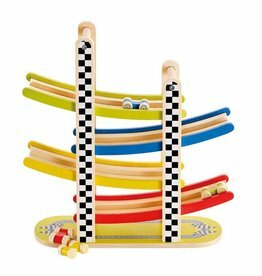 CONSUMER CHOICE Wooden Toy Award 2017 Best Baby & Toddler Gear! 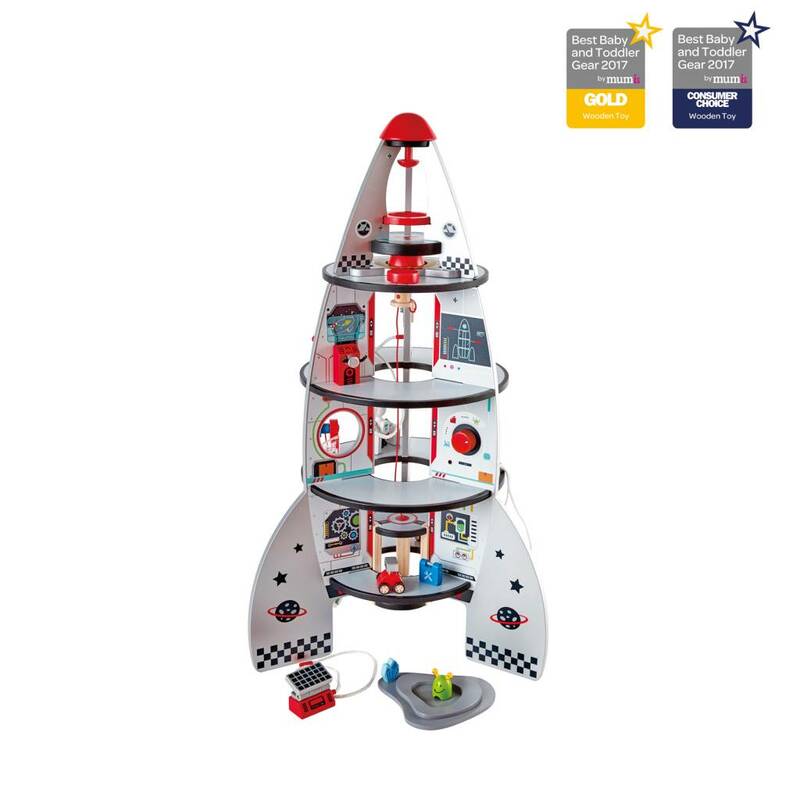 Blast off to another world with this four-stage rocket ship complete with planetary lander! 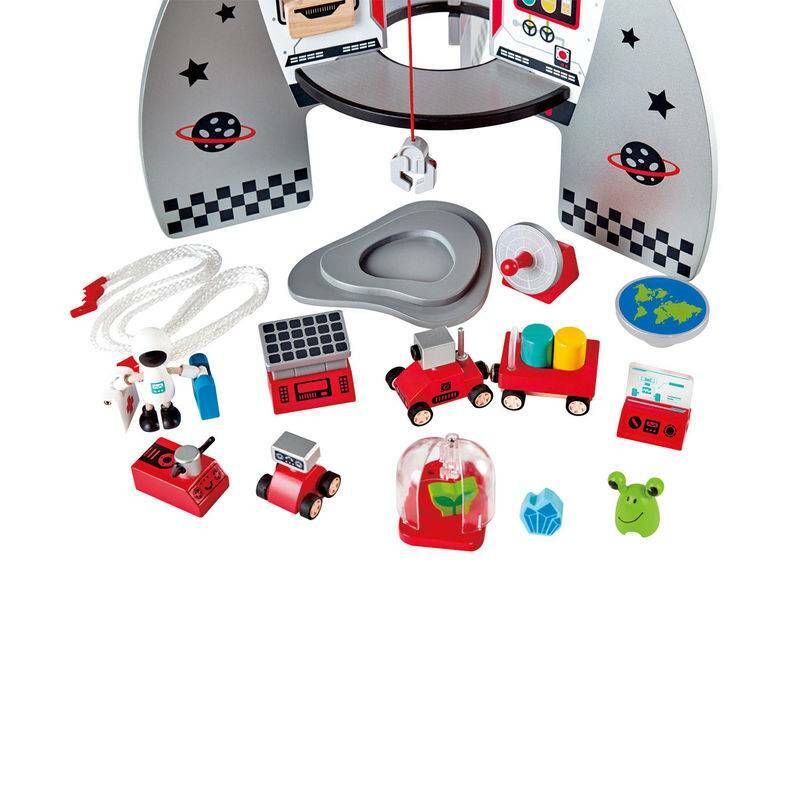 Conduct your very own imaginary deep-space voyage! 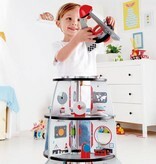 Play with a playmate to come up with a spacefaring story! 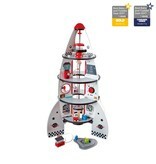 Explain what your astronauts and aliens can do in all the different levels of the rocket ship! 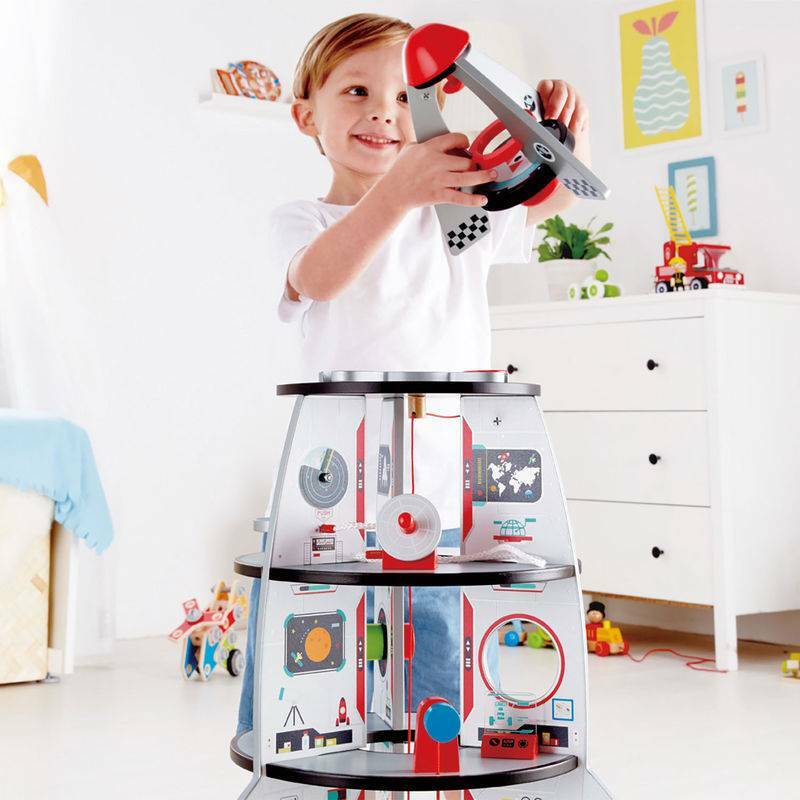 Hape toys are designed first and foremost for children. Each product is developed to enhance a child’s developmental skills. Neither language, nor culture, nor gender impedes the intuitive play patterns. What children see as fun, parents and educators recognize as age-appropriate learning basics; social, sensory, physical, and emotional skills. Using natural materials, water-based paints, and strict quality and safety standards make every Hape toy an investment kids will love and parents can trust. 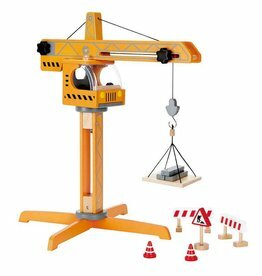 Future builders put their imagination into play when erecting a construction site with this crane set. Let the little planner describe the scene while setting up each piece. This will open up a world of pretend play. 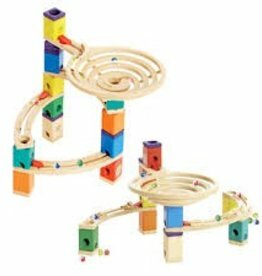 Quadrilla Roundabout Wooden Marble Run is small and mighty. Roundabout is geared to the beginning Quadrilla builders, it can leveled up and up-with add-ons. Ready, set, go! Cars jump from track to track as they zoom down the speedway to the finish line. 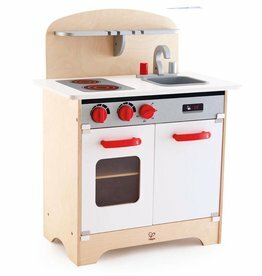 With its turnable, clicking knobs, fridge with shelf, oven with window, water tap and sink, the White Gourmet Kitchen has everything you need to prepare a delicious meal. A Shop For Moms & Wee Ones... and Those Who Love Them the Most!